Hoodie Allen is a talented rapper out of New York, New York. 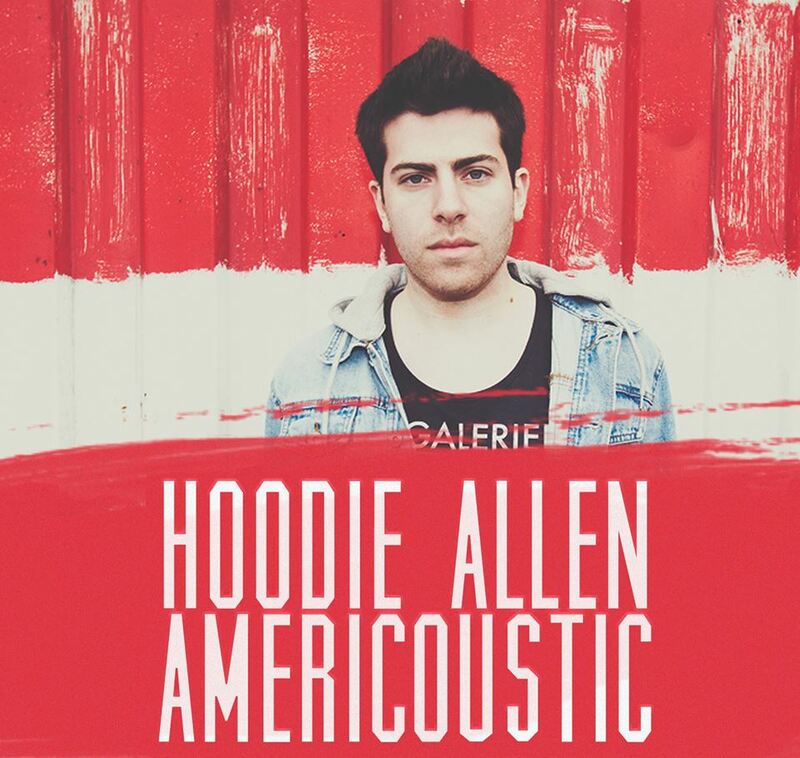 On August 12, 2013, Hoodie released a new EP called Americoustic, which features some of his songs done acoustically. This is pretty unheard of in rap so fans were quickly intrigued. He began releasing video singles, the first being his hit song “No Interruption,” which was amazing. Americoustic quickly shot up to #1 on the hip hop album listing and #4 overall on iTunes. I was already a fan of Hoodie’s and I have a love for acoustic music, but could a rapper actually pull it off? Americoustic is awesome pretty much from start to finish. The songs that he chose to do acoustically were brilliant and really showcased his talent. Hoodie did come out and explain why some fan favorites were not included, such as “You are not a Robot,” because he cannot sing someone else’s lyrics and profit from it. The only thing I noticed is in some areas of the songs it can turn into rapping instead of singing with just acoustic playing in the background. I can imagine this was the big challenge in turning a rap song into an acoustic. You have to imagine the natural instinct to rap would seep into the music at least once. I personally was never a big fan of the song “Cake Boy,” but I surprisingly like the song on the EP. When the track listing was announced I was disappointed to see “Cake Boy” on it, but I was pleasantly surprised by how good it is acoustic. I think this song showcases Hoodie’s singing ability throughout the choruses. When he is singing it is spot on throughout the song, though it does still have its rap section, and a rap feel at the beginning. The song is followed smoothly by the more mellow “High Again.” The song is a bit slower feeling than the other songs, but it is a great song. Give it a listen and you won’t be disappointed. Hoodie Allen closes out the album with the new song “Same as Before.” The song closes the album out on a great note. People quickly fell in love with the song, and it looks to be a strong staple of the Hoodie Allen library. This was a fun side project from Hoodie Allen that should be exciting for fans when they want to listen to something different. Not that many rappers would attempt to go after an acoustic EP, but Hoodie fearlessly went for it and nailed it. I really enjoy Americoustic, but would have liked to see some more restraint on rapping in sections if you’re going after an acoustic EP. I still am a big fan of this project and think it’ll be fun to see some acoustic songs live.